Sharing an important message that it's OK to be different, Penelope's Playground is a children's book, written by Roxy Jacenko and her daughter Pixie Curtis. Roxy was inspired to write Penelope's Playground after facing her family's toughest year in 2016. Drawing from her own memories of childhood and Pixie's recent experiences, Roxy has created a heartfelt and meaningful story about the importance of being kind to everyone while accepting and celebrating our differences. Penelope's Playground will be available in book stores and online book retailers nationwide from 1st February 2019. Roxy Jacenko is the founder of Sweaty Betty PR, The Ministry of Talent, Social Union, 18 Communications and Pixie's Bows. Roxy has written three novels; Strictly Confidential, The Rumour Mill and The Spotlight and her first non-fiction book, Roxy's Little Black Book of Tips and Tricks was released in December 2018. Starting her first business Sweaty Betty PR at just 24, Roxy has demonstrated her ability to succeed at every project she turns her mind to, not only breaking all the rules but creating a whole new playing field in the world of PR, social media and communications in the process. As one of Australia's most recognisable businesswomen, Roxy is now also an in-demand speaker and presenter, brand ambassador and social media influencer in her own right. Penelope's Playground is Roxy's first children's book. Heather Hawkins is a designer, illustrator, painter, creative and founder of Hawk Creative. After a childhood spent in the idyllic Batemans Bay, Heather refined her natural aptitude for painting, illustration and interest in the fashion industry with formalised studies spanning styling, business and graphic design. Heather has worked with countless national and global luxury brands across the beauty, fashion, lifestyle and hospitality space as well as with private clients to create bespoke stationary, branding, packaging and illustrations. Penelope's Playground is Heather's second children's book. A middle school girl scrolling through Instagram discovers that she’s been left out of a friend’s party. She becomes understandably upset and looks to her parents for advice. Situations like this may be common, but that doesn’t mean that the adults will always know just what to say. Indeed, as children turn into teenagers they become more devoted to their peers, but also more likely to come into conflict with them. In middle and high school, social friction and hurt feelings often come with the territory, with the risk of causing intense emotional stress both for the tweens and teenagers themselves, and also for the grown-ups who care for them. “Conflict is unavoidable and can be a point of growth,” says Andrea Shaffer, who has often called on her conflict resolution training during 27 years of teaching and coaching at the private preschool-grade 12 Chicago Waldorf School. Grown-ups are probably most helpful to young people when we take their social turmoil in stride and have strategies to coach them along as they work to resolve things on their own. When our child suffers a social injury, it’s easy to conclude that he or she has been bullied. While this may be the case, experts suggest that the term bullying is best reserved for repeated, one-way aggression against someone who cannot defend him or herself effectively. The remaining, more prevalent type of social friction — the give and take of interpersonal strife — should be considered to be conflict, not bullying. Diagnosing the problem correctly is critical to choosing the right intervention. We might view conflict as the common cold of social ailments: an unpleasant and unavoidable consequence of human contact that can be addressed with home remedies. Bullying, however, is more akin to pneumonia. It’s comparatively rare and requires urgent, expert treatment. Getting the diagnosis right may call for the help of adults with an objective view of the situation, such as teachers, coaches or counselors. If your child is being bullied, you’ll want to take a measured, evidence-based approach to the problem. If, instead, the young person in your life is involved in a conflict, you can suggest adaptive strategies for managing it. The range of human reaction when faced with conflict is a knotty topic, but I have heard teachers boil it down with the help of a few metaphors kids can readily picture. There are basically three unhealthy ways to participate in conflict: you can be a bulldozer, a doormat or a doormat with spikes. The first simply runs others over while the second agrees to be run over. The third seems to let itself be run over, but makes the aggressor pay a price on the back end by employing passive-aggressive tactics such as involving third parties in what should be a one-on-one dispute, using guilt as a weapon or playing the part of the victim. Another response that is far healthier — though it usually needs to be coached and practiced — is to be a pillar, to stand up for yourself while being respectful of others. When we, at any age, are upset with someone, most of us are naturally tempted toward an unhealthy, instinctive response. In advising adolescents on how they might handle a disagreement, I first teach them about reactions to conflict and allow them to daydream their way through a bulldozer, doormat or doormat-with-spikes response. For the girl who sees on Instagram that she was left out of a friend’s party, there might be some welcome pain relief in imagining her doormat-with-spikes revenge. Having had the chance to fantasize about the short-term gratification that would come with posting an unflattering image of the supposed friend usually helps clear the way toward formulating a pillar response. Might she ask — politely and in person — if she had done something to hurt her friend’s feelings? When addressing conflict with tweens and teenagers, I rush to point out that fights carried out online are inevitably doormat-with-spikes affairs. Social media recruits a giant audience into disputes that would have been best handled in private, and may leave a public record of emotional responses a cooler-headed teen might soon regret. And digital exchanges don’t allow for the tone control that pillar communications always require. When young people are at odds with one another, we can help them hold themselves to the pillar standard, but we can also give the option of choosing not to engage at all. As parents, we may feel the urge to encourage our children to respond to every injury or slight. I’m all for empowerment, especially for girls, but no reasonable adult reacts to every perceived affront. Rather, we constantly make strategic decisions (sometimes conscious, sometimes not) about which ones to address and which to let drop. Conflict, even when handled well, takes time and tremendous mental energy. In any given situation, we should allow our children to weigh the costs and benefits of engaging in it, perhaps even helping them with the calculation. Do they care about the relationship enough to want to work on it? Do they expect their pillar overture to meet with a similar response? Making a tactical decision to refrain from a conflict is not the same as making oneself a doormat. If a girl ultimately decides against asking her friend why she was left out of a party, we might need to offer reassurance on that point. “A doormat,” we could say, “would be crying about being left out, or kissing up to her in the hopes of being invited next time.” In contrast, a considered nonresponse makes room for the situation to unfold further — perhaps to be taken up later — or to come to seem less important with time. Fussy Eaters? Wholesome Child author and paediatric nutritionist Mandy Sacher has the answer! What inspired your career in health and fitness? I’ve been involved in the health and wellness industry for around 20 years now and nutrition has always been a huge passion of mine. 15 years ago, I co-developed the MEND program in the UK which is about empowering children who experience issues with their weight. The MEND program is the world’s largest healthy lifestyle programme for overweight and obese children and focuses on boosting children’s self-esteem and instilling positive eating behaviors. Seeing the program’s incredible results and after having my son Aaron spurred me on to move into the Pediatric Nutrition space in an effort to support and guide families around appropriate nutrition - often a confusing space for many families. How did your studies as a paediatric nutritionist lead to the development of the Wholesome Child book? 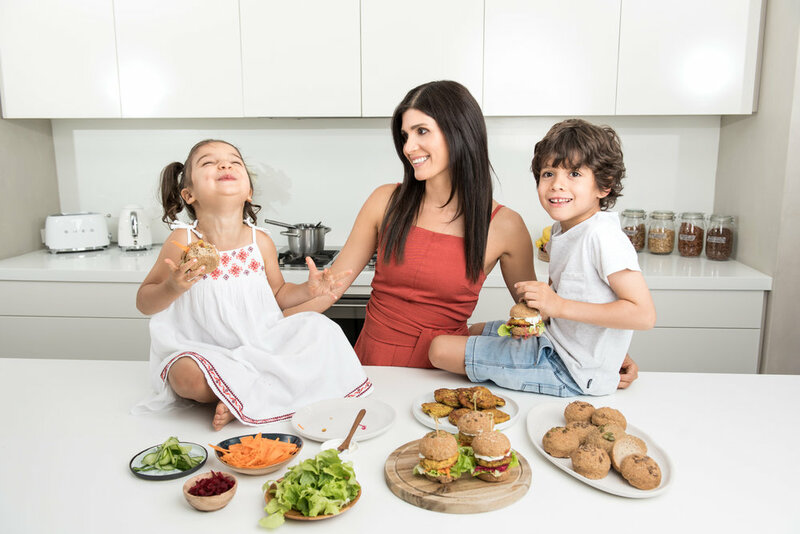 Being a mother of two, as well as a Paediatric Nutritionist, I know first hand how confusing and difficult it can be to wade through all the conflicting information about feeding children. I saw the frustration and overwhelm amongst families I saw in my practice and it inspired me to create a resource to be able to reach and help more people. I wanted to create “The Wholesome Child: A Complete Nutrition Guide and Cookbook” as a one-stop source of practical information, strategies and recipes to guide parents on how to feed their children healthy and nutritious food, right from the start. My intention has always been to make healthy nutrition feel achievable and manageable without any judgement. Each family is on their own unique journey after all, with their own specific set of challenges. I was also inspired by my family GP - a highly respected medical professional in Sydney (as well as my mentor) who told me that the results I was having with my clients were exceptional and that I needed to write my book. He actually told me to mortgage my home and go for it! What were your main goals for creating the book? When I was writing the Wholesome Child book I wanted to create a comprehensive guide that would make mealtimes nutritious for the whole family. The book is a one-stop nutritional resource incorporates an eight-step family nutrition program and covers everything from dealing with fussy eaters (this chapter alone is indispensable! ), the psychology of eating, meal plans with over 140 nutrient dense and delicious recipes. I wanted to cover everything you would you need to know about how to feed your family nutritious, healthy food...and to do so in a time efficient and joyful manner. It cuts through the confusion often surrounding nutritional information with complete yet understandable and implementable information. Why do you think there has been little focus on nutrition for children and yet we have thousands of books for adults? I experienced first-hand the lack of sound nutritional advice in the market when my son was born. Children’s nutritional needs are often overlooked. Look at the kiddies menu in most restaurants, adults are spoilt for choice – quinoa salads, salmon, shakshuka – and children are offered chicken nuggets, pizza and pasta with cheese and tomato sauce. There is not enough focus on preventative health care, often we tend to try and fix issues once they have already occurred. Most adults turn to health and nutrition when they want to lose weight, start to age or are trying to recover from acute or chronic conditions. Children often appear healthy and robust – no overt need to focus on their food choices. They can also be wilful, parents can find it challenging to convince them to gobble up a bowl of veggies, when they have access to a packet of chips or snack food which is so much more appealing. When it comes to children’s health, there is no ‘ Quick-Fix’ it’s a journey, one that takes perseverance and patience. Most adult nutrition and diet books offer instant results – 8 weeks to transformation. This overnight principle does not work when it comes to children and food, We need to focus on slow and graded changes, which the family can adapt to over time. We want long-lasting changes and to instil a positive attitude towards food and mealtimes. Did you try out your recipes on your own children whilst writing the book? The recipes in the book were created specifically for my own children, for example the chicken and thyme casserole, veggie muffins, pumpkin spiced porridge, easy fish curry were recipes that I offered my son during his transition to solids. From the beginning, I ensured that we were eating family meals together so it was easy to use the recipes in the book. Many of the recipes were also developed for clients that I saw in my clinic and for my Introducing Solids, Fussy Eating and Lunchbox Solutions workshops. The black bean brownie recipe was developed specifically for a 8 month old baby with a severe eating delay that was living off red velvet mud cakes, the chicken nuggets were created to wean a four old boy off processed chicken nuggets – he was eating these daily. The sweet potato pizza was developed for a little girl who was addicted to pizza and would not go near any veggies. Whilst writing the book, I enlisted a tester group of mums to trial and test all the recipes. The recipes have now been trialed by tens of thousands of families. Are the recipes in Wholesome Child good for the whole family? I am a really big advocate of family meals so this is really at the heart of my book. The recipes are suitable for the entire family, and are recipes that my family has been enjoying for years - many of them adapted from meals I enjoyed in my own childhood. The book includes over 140 breakfast, lunch and dinner recipes like healthier alternatives to your traditional Spaghetti Bolognaise with Hidden Veggies, Black Bean Tortillas and Mac ‘n’ Cheese with Zucchini, Cauliflower . We’ve also covered family-friendly snacks such as Chocolate Almond Scones and Beetroot and Spinach Bliss Balls as well as party food perfect for your next family celebration. The book also contains advice and tips on how to feed the whole family by meal planning, bulk cooking and repurposing leftovers. I also feature a range of meal planners at the back of my book - to guide busy and time-poor families around weekly meals, snacks, lunchboxes, fussy eating and even birthday parties. What are your suggestions for parents with fussy eaters? Over 80% of the children I see in my private practice are fussy eaters, so I’m always keen to reassure parents that fussy eating is incredibly common issue for parents - and thankfully a phase that most little ones grow out of. In my workshops I encourage families to patiently persist with repeat offerings of healthy food options. What is refused can be frozen and re-offered another day. This is an important part of the desensitisation process. Patience (as hard as it may be), as well as positive reinforcement and relaxed mealtimes, go a long way towards managing fussy eating behaviours. It’s not an “all or nothing” approach and change definitely takes time. I always advise families to “go slow” and make gradual changes - sometimes just one new food per week is a good goal to have. Try stretching your child… they may surprise you! Congratulations on releasing Wholesome Child in the US! The US is a tough market to crack, how did you navigate your way? Launching in the US has definitely been a rollercoaster! There is a huge obesity epidemic in the US and the research states that the most successful solution is instilling positive eating behaviours and habits in young children. After working with MEND I always knew I wanted to take Wholesome Child to the US. It’s been a steep learning curve but hearing how the book has made a positive difference in the lives of so many frazzled families makes all those long haul flights and 5am Skype meetings worth it! A lot of parents have ideas on creating a business or launching a product that would be useful for other families/children. What is your advice to them on developing and pursuing their ideas? My advice to parents wanting to embark on this journey is to test the market and listen to your target audience. I was fortunate to have been able to address a real need amongst families. Throughout the Wholesome Child journey, I’ve made feedback a permanent feature in all my services - I think that its helped me adapt to evolving needs and grow my business in line with what families REALLY need and want - rather than simply what I’d like to provide. Market research is so important. My aim is to reach and help more families around the world, and to spread the word that whole food, balanced nutrition can absolutely be achievable, without needing to slave away in a hot kitchen for hours, either. Families often feel daunted and overwhelmed around what to feed their children, especially where food allergies and fussy eating is involved. I feel that it's my mission to help guide, inform and inspire them. The world needs better health and I feel so honoured and privileged to be able to play a part in making a difference one family at a time! Visit the Wholesome Child website to learn more about Mandy Sacher. Her book “Wholesome Child: A Complete Nutrition Guide and Cookbook” is available to purchase online and through iTunes. Connect with Mandy on Instagram and Facebook. TRAMSHEDS, Sydney - A great Sunday family day out! 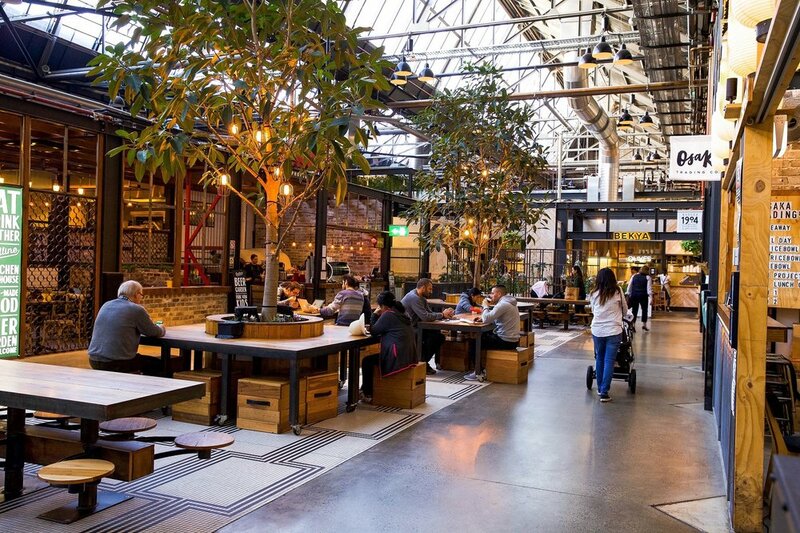 TRAMSHEDS is a vibrant lifestyle destination, reminiscent of Europe’s great food halls, buzzing with creative energy and the delicious aromas of fresh food and exotic flavours. Vendors include Bodega 1904, Butcher & The Farmer, Gelato Messina, Belles Hot Chicken, Bekya, Garcon and Flor Eggs Water, to name a few. Every Sunday from 8am-2pm it is home to the Growers Markets, hosting live entertainment from local musicians as well as activities for the kids to enjoy. Not to mention an array of delicious treats and seasonal produce from some of their favourite growers, sustainable products from community providores and a changing schedule of workshops and masterclasses featuring winemakers, cheesemakers, chefs, authors and artists. What inspired you to create Pixie’s Bows? I always liked Pixie to leave the house with her hair nicely done and a bow in it. So many people would stop and ask me where I had bought her hairbows and headbands so I decided that we would start producing Pixie’s Bows! What were the challenges you encountered when the business was in the start up phase? Look it was an area which didn’t have many competitors, we knew what we wanted to create in terms of look, feel and colours and just went for it. We didn’t really experience any challenges as such, I would more so say that finding the best suppliers around the globe took time as we wanted to produce quality Hair Bows. At what point did you recognise that you had a successful business? We were selling online only so the number of orders that were coming in daily were amazing, it only took a few weeks for us to realise we had really found a niche that could be capitalised on if we had our product perfect. What are the challenges of working with family? There's of course disagreements on product colours and the usual but we always ensure everyone has a chance to present their thoughts and we always consider everything. What advice would you give to other mums looking to take on the challenge of their own business? Ensure you are clear in what your offering is, research what other brands are in the marketplace and how yours will be different. What do you hope your children’s takeaway will be from your success? That if you want anything in life you need to work for it. They are involved already and they are only (6) – Pixie and (4) Hunter – I want to impart in them that work is important. Is it your hope that Pixie or Hunter will be more involved in the family business in the future? I don’t have any thoughts on it, if they want to, they are of course welcome to – I want them to make their own decision and of course I will support them in any direction they go. We are excited to be launching on the new ICONIC Kids site this July and in August we will be in MYER Stores which for an online only business started just 4 years ago is extremely exciting. The Mummy Hub is for all things family. The 3 I's - Information, Ideas and Inspiration for families of all ages.